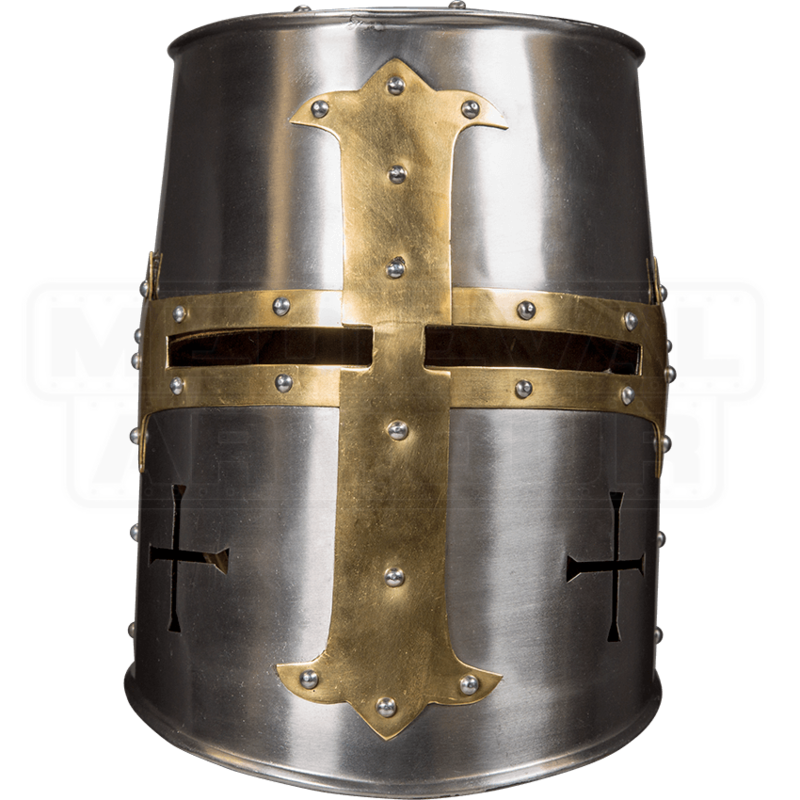 The Crusader Helmet has a bold brass cross over its face, announcing your mission and prestige to any friend or foe you encounter. This 18 gauge steel medieval helmet has a historical great helm shape, cylindrical with a flat top. Rivets reinforce its structure. Two narrow, rectangular eye slits are cut out from the horizontal arms of the cross. Cross-shaped cut-outs help give the helmet some ventilation. The inside is lined with adjustable, padded cotton canvas. A buckled leather strap secures the great helm under the chin. 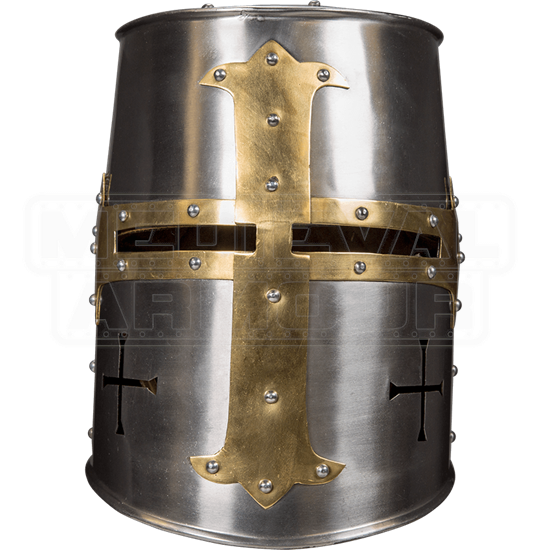 For your next LARP or light reenactment event, show off your gallant side in this Crusaders great helm.